Tokyo is the capital City of Japan and is one of the most populated metropolitan areas in the world. When it comes to sights and sounds, there is nothing on the planet which compares to Tokyo and in addition to the many tourist attractions, golf in Tokyo is big business. While Tokyo is known around the world as a city, it is technically both a city and prefecture. There are 23 different ‘wards’ of Tokyo. They each combine to make the metropolitan region of Tokyo yet come under their own administration. Tokyo is an amazing place to visit and live and has been ranked as the number one city for best overall experience in the world on popular travel websites. Thanks to the large area of Tokyo, which measures 90 kilometres from east to west and 25 kilometres from north to south, there are many different opportunities to play golf. It’s the variety of destinations which makes Tokyo a great place for a golf holiday in Japan. As you would expect from a big city like Tokyo, it is very easy to reach from anywhere in the world. There are two main airports which serve Tokyo called Narita, which is used for international flights, and Haneda which is mostly for domestic flights. Narita is the major international gateway to Tokyo and Japan Airlines, British Airways, ANA, Asiana Airlines, Air Canada, SAS, United, Air France and Delta are just some of the major airlines which operate from this airport. The airport is located 70 kilometres away from the centre of Tokyo and you can use the Narita Express train to reach Tokyo Station and other major stations in the city such as Shibuya and Shinjuku. Haneda Airport is closer to Tokyo but you will only be arriving here if you are travelling from a different region of Japan. There are four main seasons in Japan and the climate in Tokyo is temperate, with mostly mild and sunny winters, with the summer hotter and wetter. While possible snowfall cannot be ruled out in Tokyo, the surrounding mountains tend to protect this region of Japan from the Siberian air and that makes it a good place to play golf in the winter. In the summer, temperatures can rise to 35 degrees and although there can be heavy spells of rain, the main thing to be aware of is the heat. However, golf is played in Tokyo throughout the year but if you like it warm and dry, August is the best time to visit Tokyo for a golf holiday. Upon entering Japan, visitors from countries including the United States, Canada, Australia, New Zealand, and the United Kingdom only need a passport, there is no visa required. However, you must ensure you have enough time on your passport to cover your stay. If you hold a passport from any country other than the ones highlighted above, you will need to check with your government to see if there are any extra entry requirements. When planning on playing golf in Tokyo, you will need to consider where you would like to stay. Thankfully, you have many options ranging from luxury hotels and resorts to boutique bed and breakfasts. You also have the option of staying in a Tokyo ryokan, which is a traditional Japanese style guest house. Not only do you have many accommodation options in Tokyo, you also have plenty of golf courses to play. As mentioned above, Tokyo is a huge place encompassing 23 districts and below you will find three of the best in terms of golf in Tokyo. To the south of Tokyo city, on Sagami Bay, lies Kanagawa, a coastal prefecture which has its own capital city called Yokohama. Kanagawa prefecture is part of the greater Tokyo area and is home two of the most popular tourist spots in Japan, Kamakura and Hakone. However, Kanagawa is also home to four of the best golf courses in Tokyo. One of the most picturesque is Daihokone Country Club, which is situated in the foothills of the Hakone crater, created by the eruption of Mount Hakone some 3,000 years ago. This 18-hole Tokyo golf course plays long from the back tees, measuring to 7,289 yards but is a par-73, with 5 par 5’s, 4 par 3’s and 10 par 4’s. 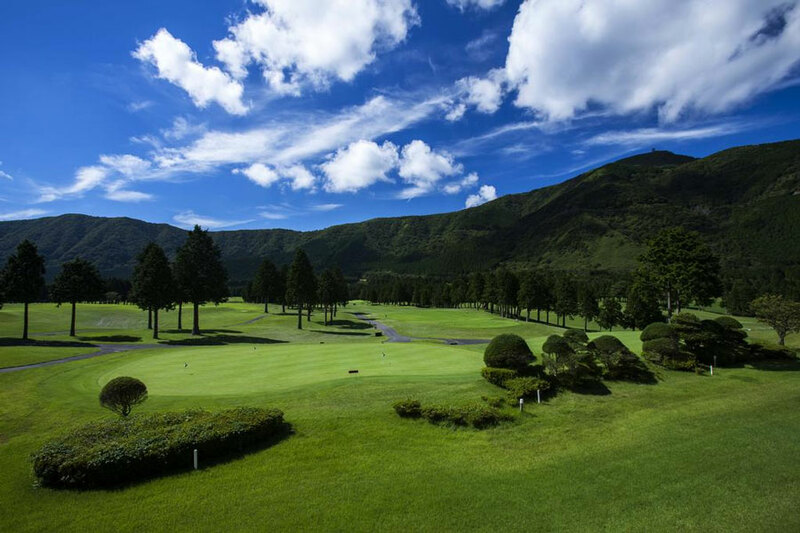 One of the outstanding features of Daihokone Country Club are the stunning tree covered hills which surround the course. The positioning and design of the bunkers provide the biggest test on this golf course and the double greens mean the layout of the course can change regularly. If you wish, you can stay at Daihokone Country Club using the excellent hotel and facilities but there are other golf courses to discover in this region of Tokyo, starting with Hakone Golf Course. This plays much shorter than Daihokone Country Club and makes for an interesting contrast. 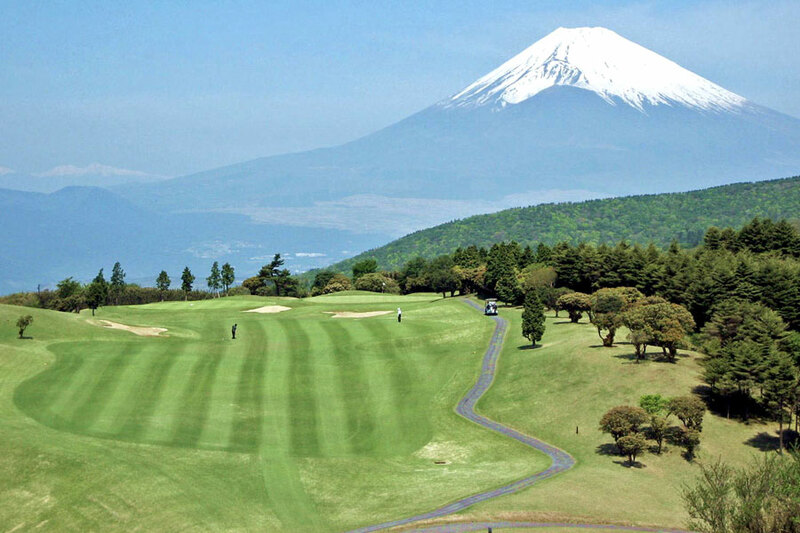 The setting of Hakone Golf Course is second to none and you will enjoy breath-taking views of Mount Fuji and Lake Ashinoko. It’s tough to resist going for your camera on this course and it is one of the most beautiful golf courses in Tokyo. However, you must keep your concentration because despite paying to only 5,936 yards, there are many subtle undulations and narrow fairways which can punish you if you are swept too far away by the views. Other great golf courses in Kanagawa include Fujiya Hotel Sengaku Golf Course and Hakone Yunohana Golf Course, the latter of which has two greens for each hole, a feature you will find is popular in this region of Tokyo. Kanagawa prefecture is just 40 minutes away from central Tokyo, so if you want to use the city as a base, you can play golf in Kanagawa and return to central Tokyo every night without a problem. Travel east across the Sagami-nada Sea from Kagawa and you will reach Chiba, the second great region of greater Tokyo to play golf. Chiba prefecture is on the eastern outskirts of Tokyo and occupies the rural Boso Peninsula. While Chiba is known for large theme parks, such as the Disney World Resort plus hotels and shopping, it is also home to some lovely nature and golf courses. If you are arriving at Narita airport, Chiba will be your first port of call and thus makes for a great place to start a Tokyo golf holiday. There are several excellent golf courses to choose from in Chiba and you will need over a week in this region of Tokyo to play them all. 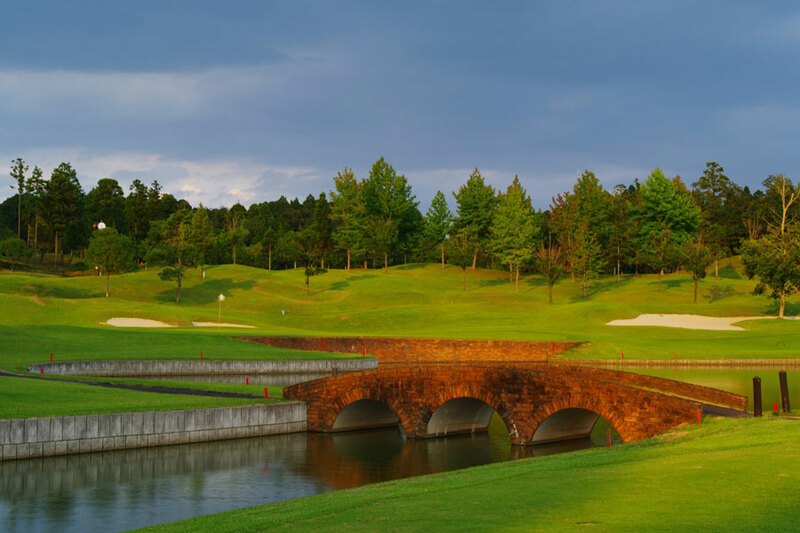 Some of the top golf course designers from around the world have opened golf courses in Chiba including Robert Trent Jones Jr, Desmond Muirhead and Gary Player. Choosing one over the other is difficult and you will need to asses each before deciding one which to play if time is limited. However, you can do a lot worse than choose Oak Hills Country Club, which is arguably the best golf course in Chiba. Designed by Robert Trent Jones Jr, Oak Hills Country Club is set in the Japanese countryside and consists of rolling hills and tall, green trees. The course plays to 6,900 yards from the back tees and while it is not the longest in the region, provides a good test with lakes, large, well-positioned bunkers and mounds. The undulating greens make putting a test but the overall quality of the course and the strategy behind each shot is what makes Oak Hills Country Club a great place to play golf in Tokyo. If you would like to enjoy a round of golf in Chiba on a course designed by a Japanese architect, Camel Golf Resort comes highly recommended. Designed by Shigeru Itakai, Camel Golf Resort provides another strategic test of golf in Chiba. Water plays a large role on this course but with well maintained fairways and rough, the course is always in good condition and if you stay away from the water, players of all abilities can enjoy a good round of golf. Camel Golf Resort comes complete with a hotel, so you can stay overnight if you wish and make use of the excellent facilities, including a driving range, short game area, putting green and choice of restaurants. Other top golf courses in Chiba include Glen Oaks Country Club, Kiminomori Golf Club, Shibayama Golf Club, Taiheiyo Golf Narita Course and Tako Country Club. Heading north from Chiba you will find Ibaraki. Located on the Kashima-nada Sea, Ibaraki borders the Pacific Ocean on the northeast of Tokyo and the capital is called Mito. You have may seen many images of Mito on television and online thanks to the plum trees which bloom every February and March, making for a great spectacle. Ibaraki is home to some of the most famous golf courses in Japan. Part of the Taiheiyo Club, Oarai Sherwood Course has been named to conjure thoughts of Robin Hood and Sherwood Forest. Opened for play in 2001 and designed by Mitsuaki Kobayashi, the course is quite short by modern golf course standards, playing to 6,500 yards from the back tees. This makes it suitable for all players, regardless of their distance off the tee. The course is stunning and the beautifully manicured fairways meet white sand bunkers, providing a fantastic contrast in colour throughout the course. 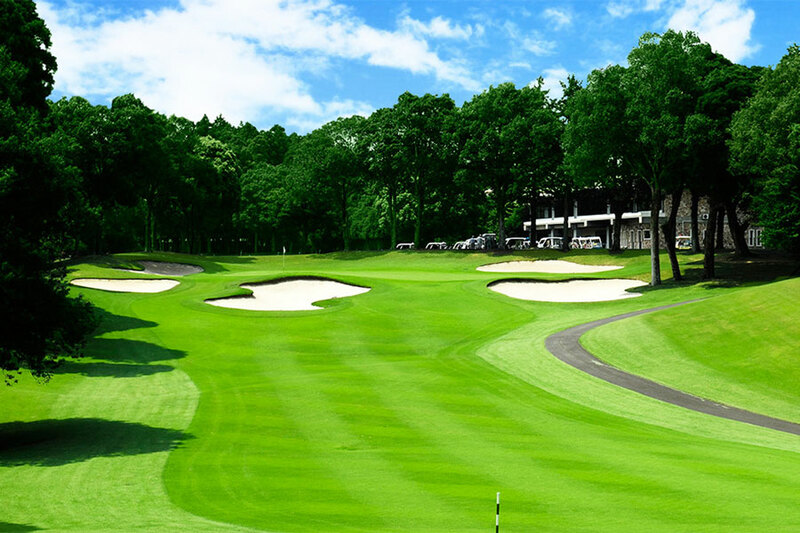 Oarai Sherwood Course is a good choice all year round thanks to the high number of sunny days. So, whatever time of year you arrive to play golf in Tokyo, you can be sure of a great round of golf. One of the delights of playing at Oarai Sherwood Course is the lunchtime buffet which consists of Oarai seafood with a Western Influence. If you can drag yourself away from Oarai Sherwood Course, there is another superb Tokyo golf course commanding your attention in Ibaraki called Windsor Park Golf and Country Club. This golf course was designed by Kentaro Sato and opened for play in July 1997. As the name suggests, there is some British heritage to Windsor Park Golf and Country Club, with the clubhouse having a distinctive British feel and design. For those looking to play a longer golf course in Tokyo, Windsor Park and Country Club is a good choice as it stretches to just over 7,000 yards. However, a choice of tee boxes means it remains a highly playable course for both long and short hitters alike. The course has been chosen to host many amateur golf tournaments in Japan. The 18 holes have all the features you would expect from a top parkland course including water hazards and well-protected greens. The pick of the holes include the long par-5 12th, which has a late dogleg left to the green and the par-3 5th hole, which features a tee shot over water. Windsor Park and Country Club is always in splendid condition and you can see the staff are proud of their golf course. You will struggle to find a more pristine 18 hole golf course in the Tokyo region of Japan. However, with so many excellent golf courses to choose from in Tokyo, it can be difficult to choose which ones to play. Thankfully, due to the proximity of many of the golf courses in Ibaraki, Kanagawa and Chiba to central Tokyo, you could stay in the city itself and enjoy a short journey to a different Tokyo golf course every day.